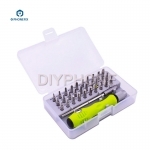 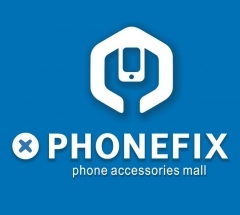 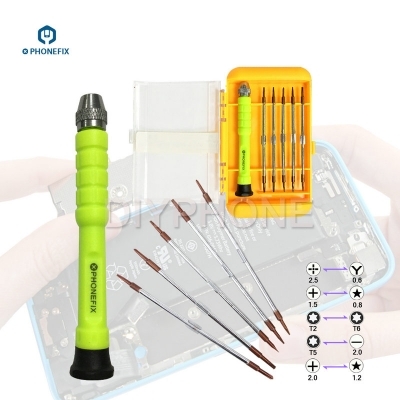 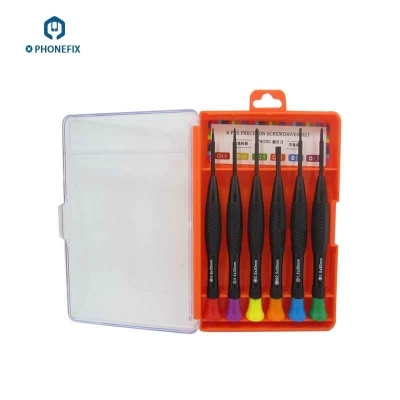 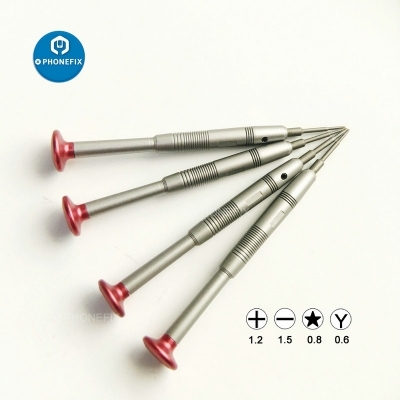 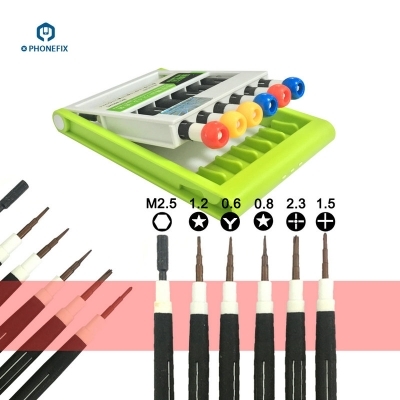 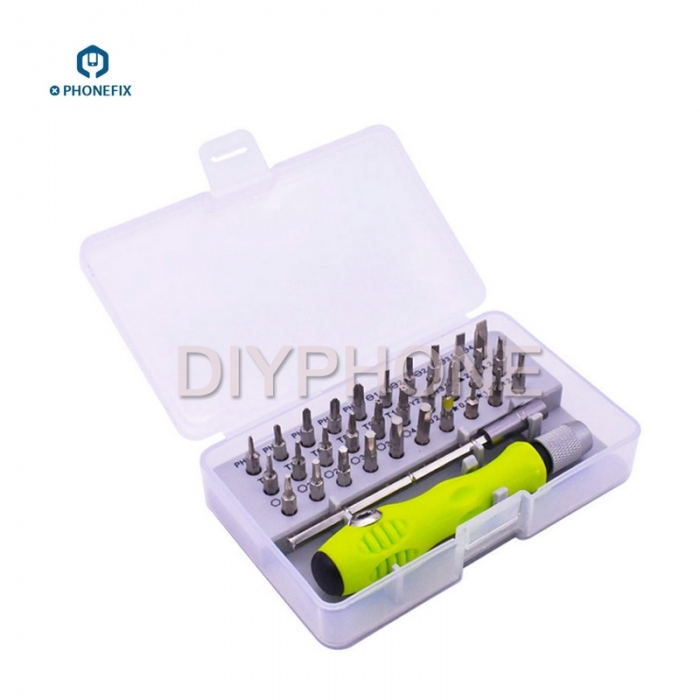 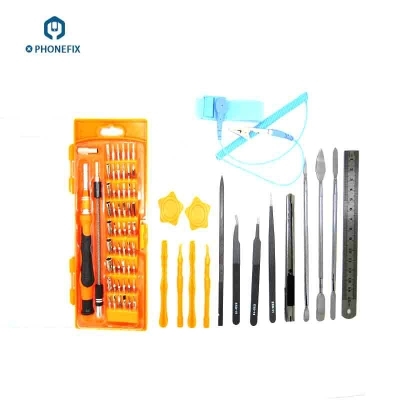 DIYPHONE 32pcs in 1 screwdriver set includes 30 insert bits + rubber handle + extension rod, comes with plastic storage box for easy transport, Multi-Purpose Screwdriver Set 32 IN 1 Mobile Phone Repair Tool, Precision Screwdriver Set ideal hand tools for DIY phone opening repair tool. 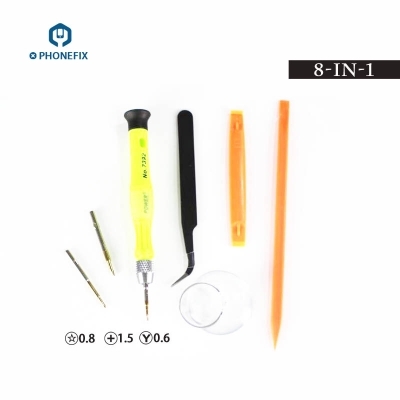 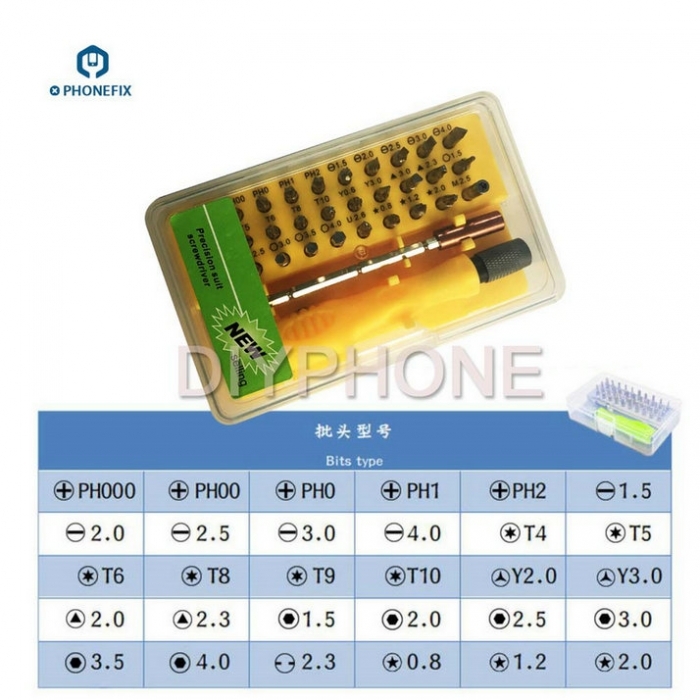 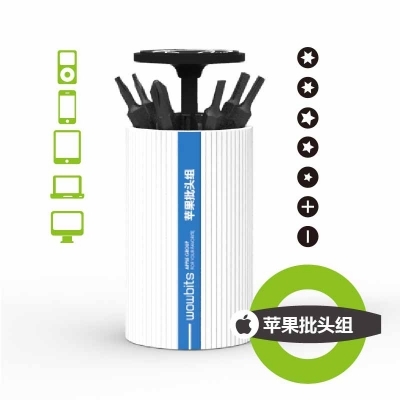 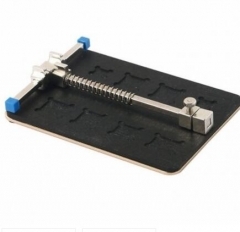 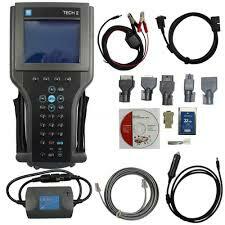 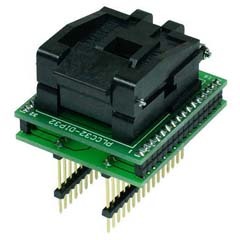 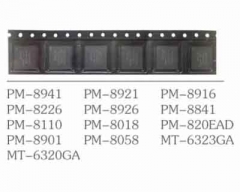 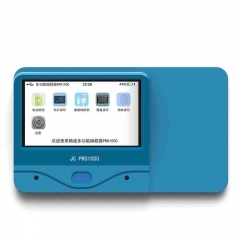 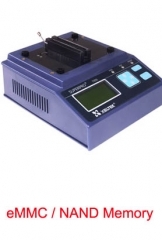 Multi-Bit Driver phone repair hand tools, Easy to use. 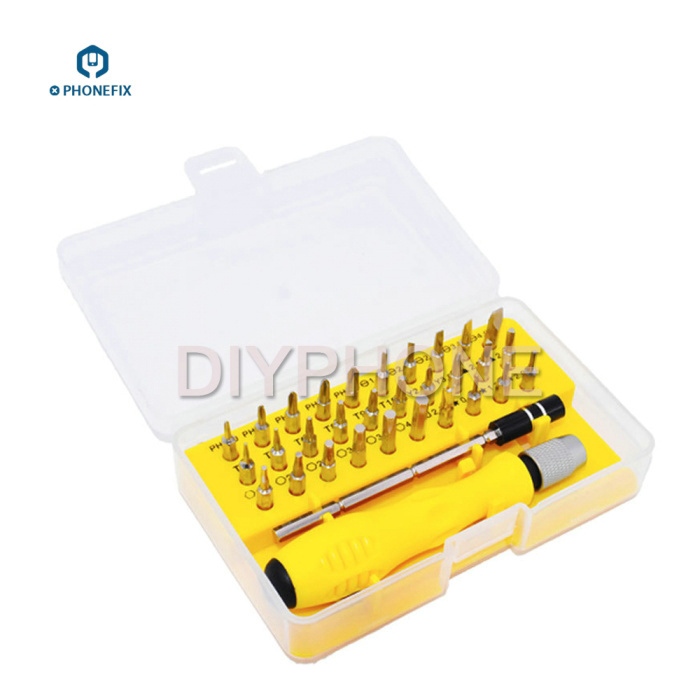 Multi-purpose Screwdriver bits. 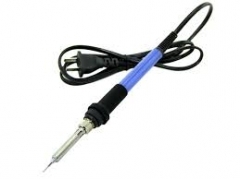 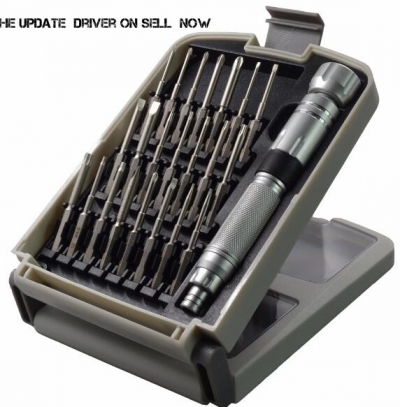 32 in 1 Screwdriver Bits Set phone Repairing Tool.